In February, the rugby Sevens tournament rolled into town. It kicked with the teams parade which travelled along Lambton Quay to Civic Square. Being a big news event I went along with my camera to take a few shots. Performers dressed as characters from the film Boy, at the rugby sevens parade on Lambton Quay. 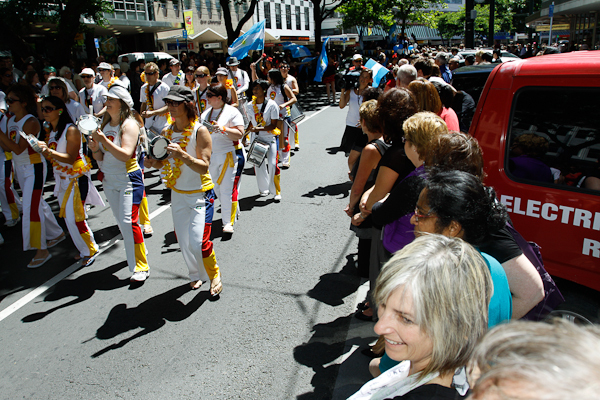 A marching band precedes the Argentinian team as the parade marches down Lambton Quay. 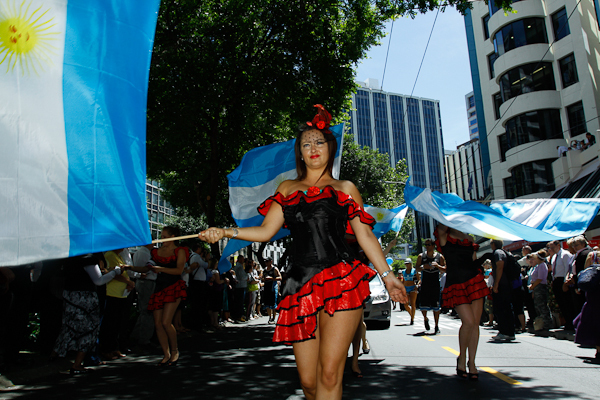 Dancers waving Argentinian flags march down Lambton Quay during the Rugby Sevens parade. 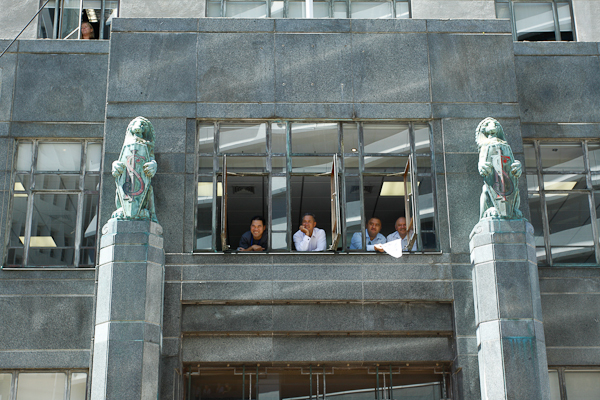 Spectators watch the rugby sevens parade from an office building on Lambton Quay. 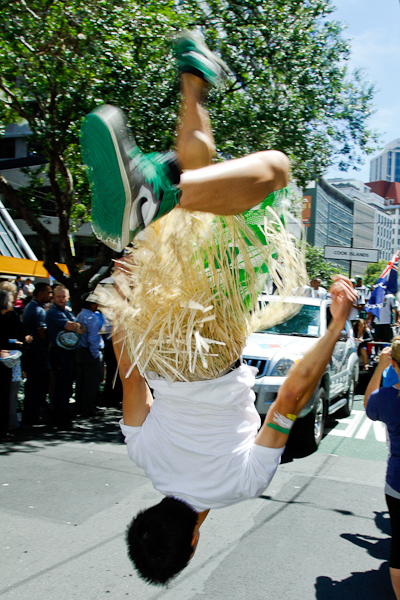 Australian fans support their team during the rugby sevens parade on Lambton Quay. 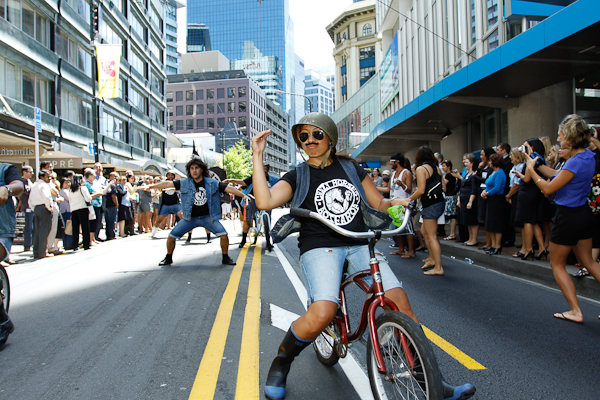 A dancer performs during the rugby sevens parade on Lambton Quay. 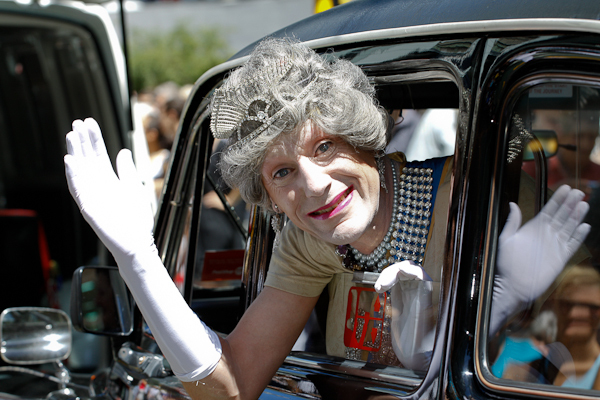 A performer impersonates the Queen in a British taxi during the rugby sevens parade on Lambton Quay. 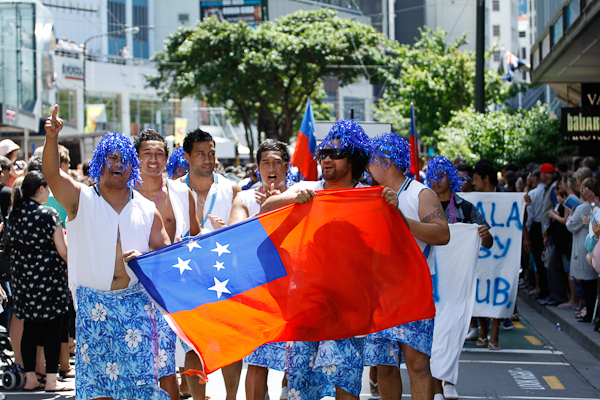 Performers hold the Samoan flag during the rugby sevens parade at Lambton Quay. 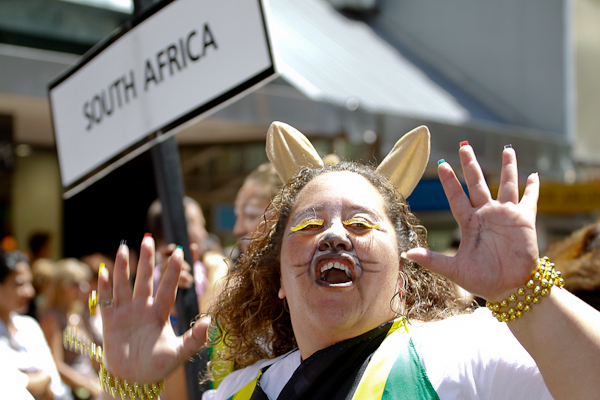 A performer for the South African team at the rugby sevens parade on Lambton Quay. 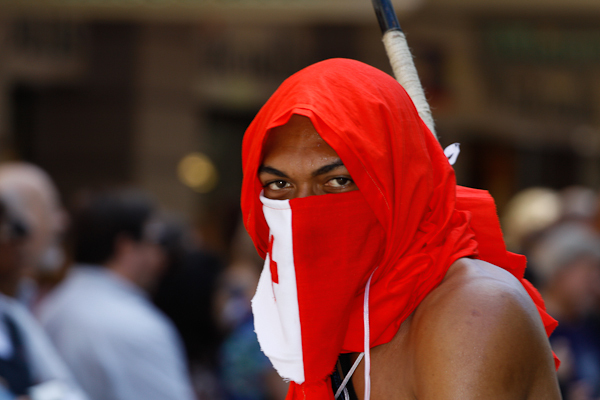 A performer for the Tongan team at the rugby sevens parade on Lambton Quay.